Why Might a Furnace Blow Out Cool Air? We may be closing out the heating season now that April is nearly upon us, but that doesn’t mean that it is time to push your heater out of your mind entirely. Particularly not if that heater failed to live up to your high expectations this past heating season. It may be late in the game, but you don’t want to put any necessary furnace repairs in Chesapeake, VA, on the backburner. A relatively common issue that some homeowners encounter with their furnaces is the blowing out of cool air. This air does not have to be as cold as the air outside to indicate that there is a problem. It just has to be cooler than the air that should be coming out of the furnace. If you’ve identified this problem in your home, then the obvious next question is—what gives? Today, we’ll explore some potential causes. Posted in Heating | Comments Off on Why Might a Furnace Blow Out Cool Air? Replacing My Heater: Boiler or Furnace? Don’t let the arrival of March in just a few short days fool you. There is still plenty of use for your home heating system in the weeks ahead. It can take a while to heat up substantially around here, and it is not uncommon for a warm stretch to come and go, only to let the chill right back in. With that in mind, you should definitely start thinking seriously about your heater in Chesapeake, VA, and its performance quality over the past few months. Once the weather warms up a bit, you may benefit from a heating replacement. Back in October, we talked about a few of the reasons why you may want to schedule a heating replacement. These included the age of the system, its overall performance quality, and energy efficiency levels. Today, we’ll assume that you’ve decided to replace your heater already, and that you are on to the next big question: which system to choose. 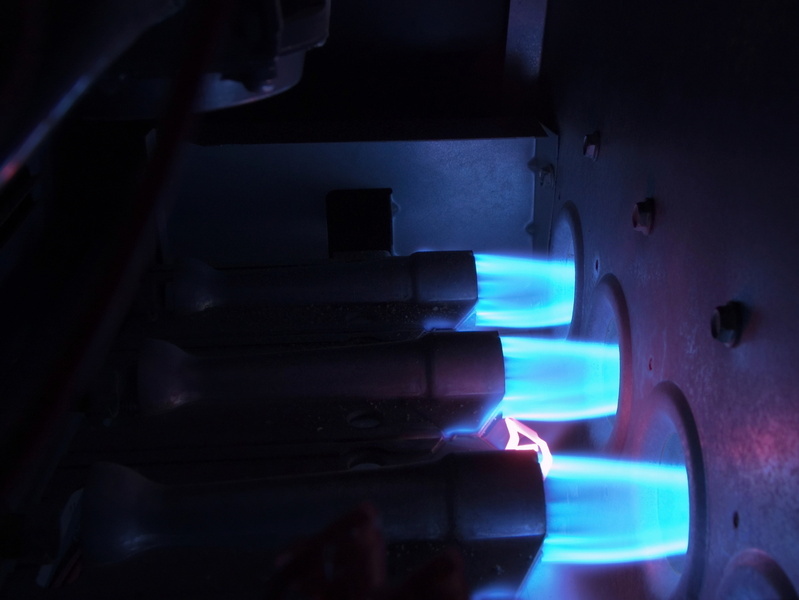 Let’s consider two of the most popular: the furnace and the boiler. Posted in Heating | Comments Off on Replacing My Heater: Boiler or Furnace? The cooler weather in Hampton Roads has many homeowners looking for ways to improve the comfort of their home. Luckily, our experts have compiled a list of the top five tips to improve a home’s comfort level this season. Did you know that over 40 percent of energy loss is through the attic? Your home has dozens of holes allowing air to escape. Air sealing all penetrations to the attic and adding insulation keeps the heat you are paying for inside the home. A home performance contractor can help assess the home to discover issues that may make it drafty and uncomfortable. One of the biggest energy wasters is duct work leakage. Having well-sealed and insulated duct work is essential to the efficiency of a home’s heating and cooling systems. The age and condition of a furnace or air conditioner can impact its efficiency. Installing a unit that allows the air to evenly distribute throughout the house is crucial to creating a comfortable home. New windows can make your home more comfortable and quieter, while offering substantial energy efficiency and savings. Since 80 percent of a window is made of glass, a significant amount of heating and cooling savings comes from improved glass performance, according to Window World®. Homeowners can improve the comfort level of their home through a variety of DIY projects. For example, weather-stripping and/or caulking all areas of noticeable leaks around windows and doors with a draft; or installing plastic thermal covering on windows. It can be a simple project like opening up drapes and shades on sunny days or a larger project like changing the color of the home’s exterior to one that doesn’t absorb solar heat. When looking to improve the comfort of your home, working with a trained professional is the best approach. They can provide you with recommendations based on a careful analysis of your home and can help you get answers to your questions. © 2014–2019 House Call Company. All rights reserved.